The reception site is booked, the wedding party has been selected and the perfect honeymoon has already been planned. But if you are taking that all-important step into marriage, you will, of course, need to obtain a marriage license before the wedding ceremony. To give you one less worry before your big day, here is all the information you need to know about getting an Oklahoma marriage license. IMPORTANT: The following information applies only to licenses in Oklahoma County. Requirements vary by county, so contact your county's Court Clerk's office to confirm all requirements and fees: Cleveland County Court Clerk, Canadian County Court Clerk, Lincoln County Court Clerk, Pottawatomie Court Clerk. Both partners applying for the marriage license must be over the age of 18. If either is aged 16-17, a parent or legal guardian must consent. If either is under 16, marriage is prohibited except by court order. Cousin marriages are not allowed in the state of Oklahoma, nor are proxy marriages. This means the partners must be physically present. As of November 2004, a blood test is no longer required to obtain a marriage license in Oklahoma. There is also no residency requirement. However, recently divorced individuals are required to have their divorce final for at least six months before they may marry again unless they are remarrying the previous spouse. Couples applying for an Oklahoma marriage license need to go to the Court Clerk's Office (320 Robert S. Kerr Ave. Oklahoma City, OK 73102). This is located downtown, just east of the OKC Museum of Art. In addition, the Oklahoma County Court Clerk has an office in Edmond at the Downtown Edmond Community Center (28 East Main). Make sure you bring with you some proof of age document such as a driver's license, passport or birth certificate. Those aged 16 or 17 must have their birth certificate. The license fee is $50, but you can have this reduced to only $5 by completing an eligible premarital counseling program. Money orders, cashier's checks, and personal checks are accepted. There is no waiting period for your Oklahoma marriage license unless you are under 18 years of age. The waiting period for those under 18 is 72 hours. 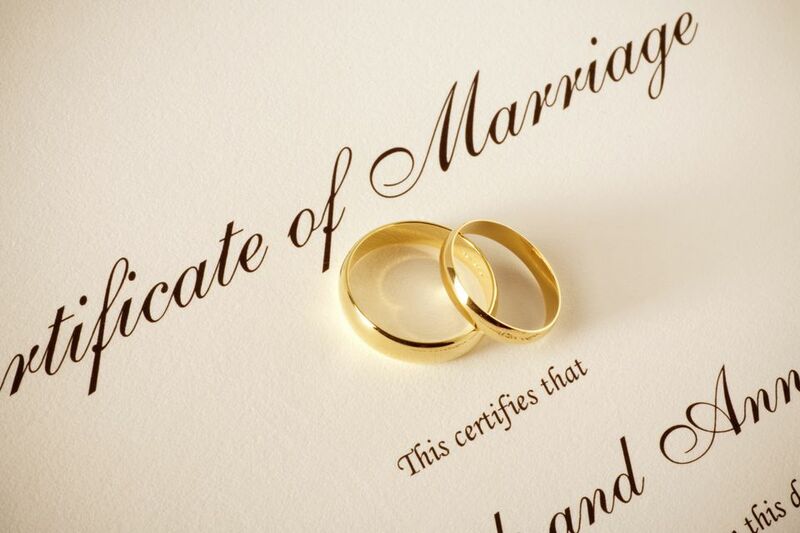 Your Oklahoma marriage license should be delivered to the clergyman or judge within 10 days of issuance. It must be returned to the Court Clerk's office within 30 days of issuance. The judge or religious clergyman should sign your marriage license and send it to the Court Clerk's Office within five days of the ceremony.